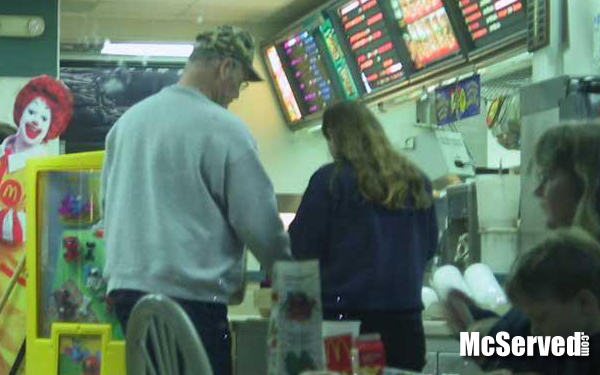 This hair is always unveiled at your local fast food joints and typically in McDonald’s. 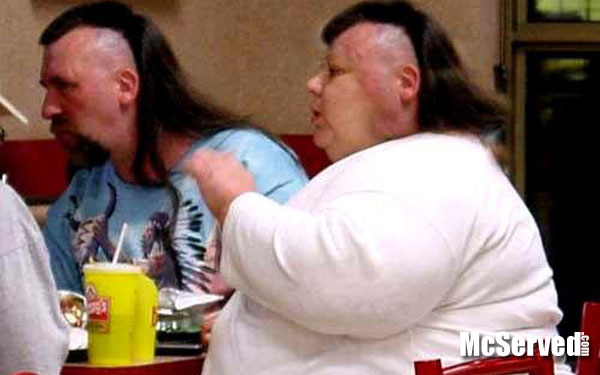 Do they just forget to cut it? Does it allude them? Or is it a sassy fashion statement. In the end it basically says “I don’t care”. I see this man all the time in this Toronto neighbourhood. He might be homeless but has a pleasant demeanor and appears harmless. 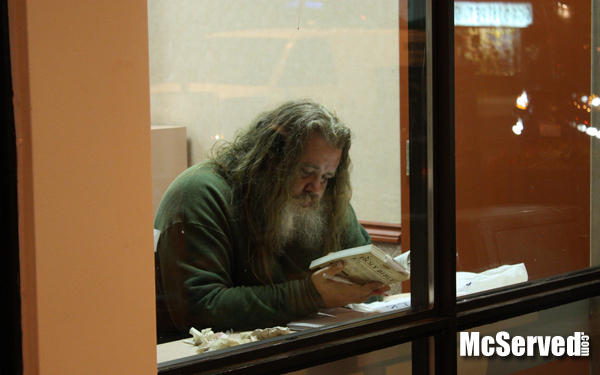 He was reading and writing at a McDonald’s when I snapped this. He could be a mad genius or just likes the pretty pictures. Who knows? People, Pictures tags: bum, homeless, Toronto. 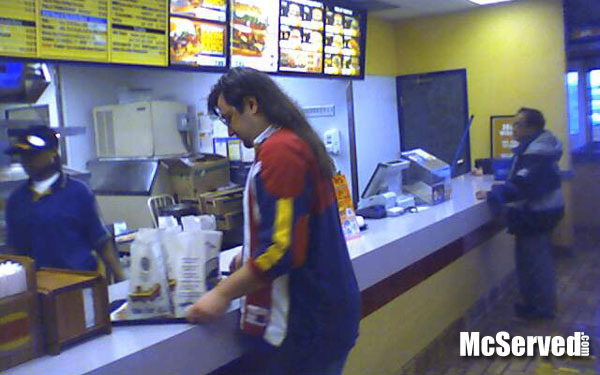 It was mullet night at McDonald’s. It seems that the weirdest creatures only come out at night. People, Pictures tags: chicago, hair, mcmullet, mullet.